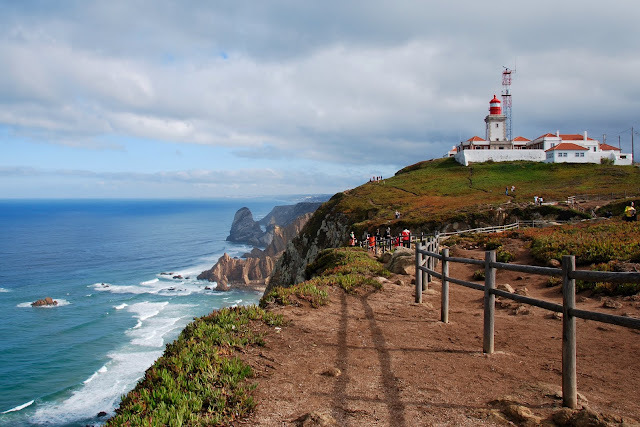 Cabo da Roca (Cape Roca) is the westernmost point of continental Europe, and is an absolutely lovely place to see some of the best views of the Portuguese coast. It is located west of Sintra and slightly northwest of Lisbon and Cascais, about 30 minutes by car from Sintra. 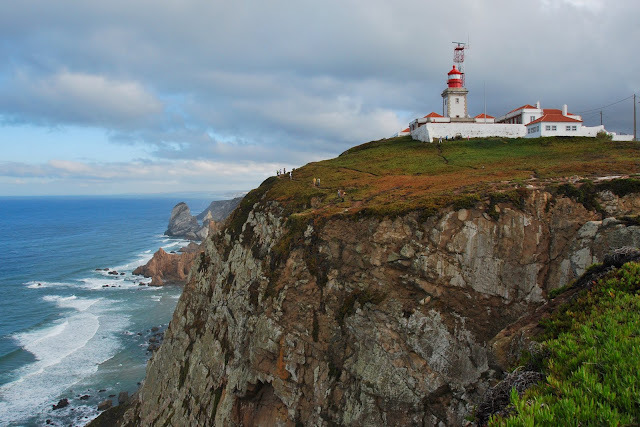 There are rugged cliffs, giant boulders, and a very nice lighthouse, plus a small monument that marks the spot and shows the latitude and longitude. There's a nice cafe and gift shop, and some clean bathrooms, plus lots of free parking. 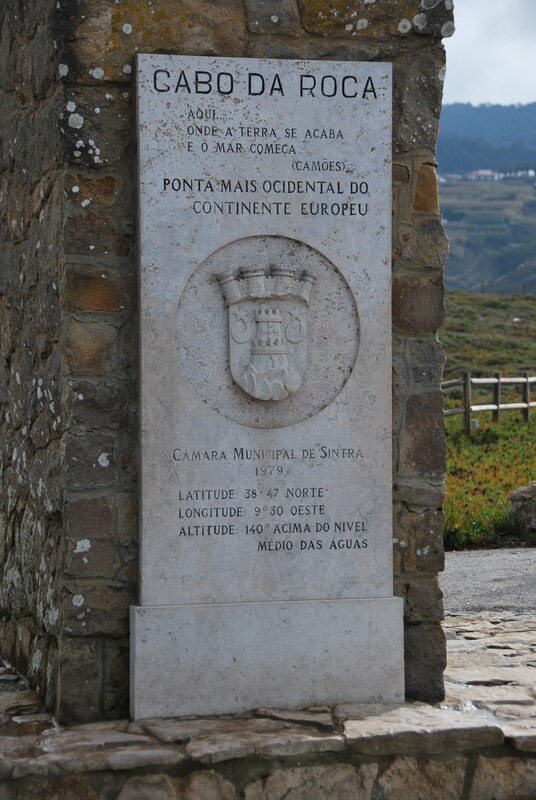 We loved stopping there, and spent about an hour wandering along the cliffs and admiring the views! 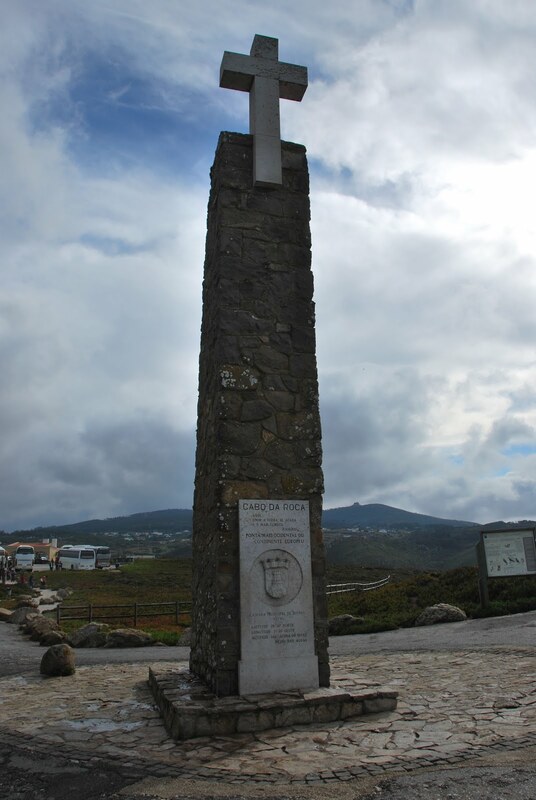 The monument marking the westernmost point of continental Europe. Amazing views of the coastline and lighthouse! When we were there, there were also quite a few tour buses. We got there mid-morning, perhaps if we had gone a bit later in the day we'd have missed some of the tourists. It does seem to be fairly busy most of the time, however, since it's a huge draw for people visiting Lisbon as well! 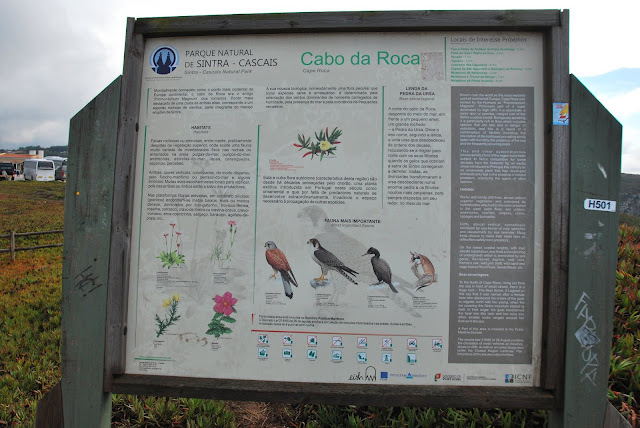 If you don't have a car and you're in Lisbon, you can take the train to either Sintra or Cascais, then take a bus to Cabo da Roca. 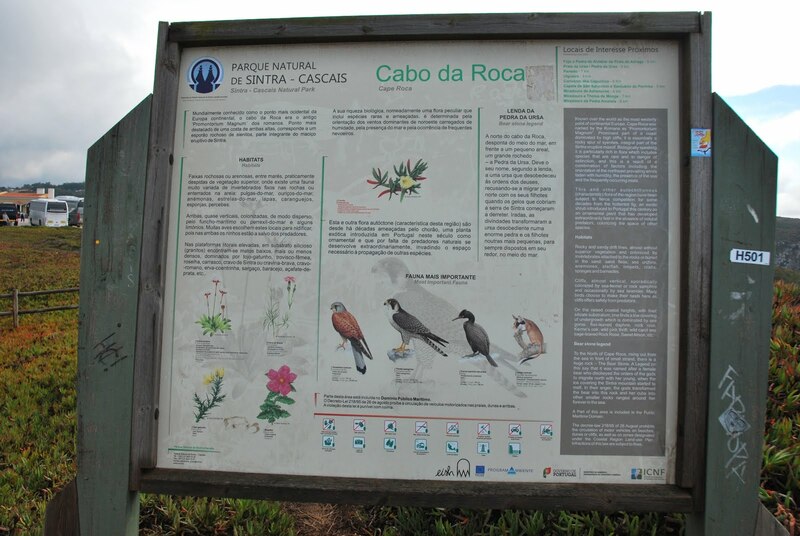 In fact, Sintra - Cabo da Roca - Cascais would probably be a really nice day trip from Lisbon if you have the time! Hubby drove for this leg of the journey, and I navigated. Quite by accident, he took my "oh look at that!" gesture as a "get off the highway here" gesture. 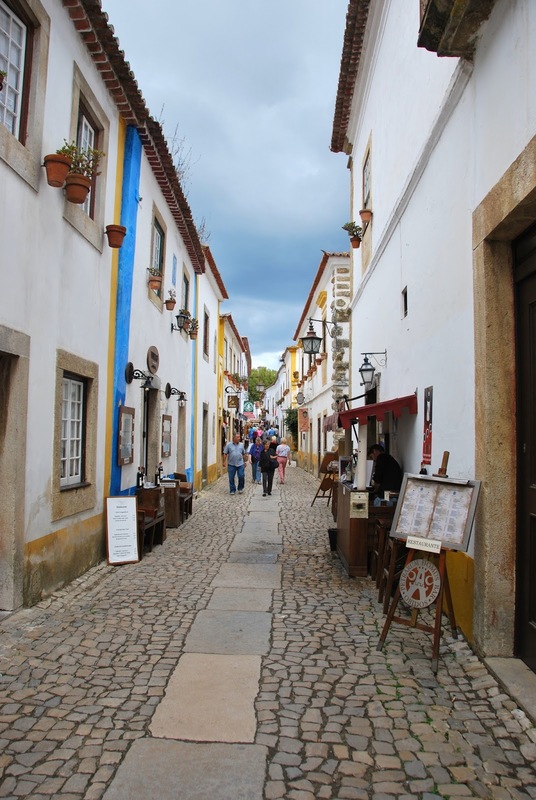 The accidental miscommunication led to us stopping for lunch in Óbidos, and we were so happy we ended up there! 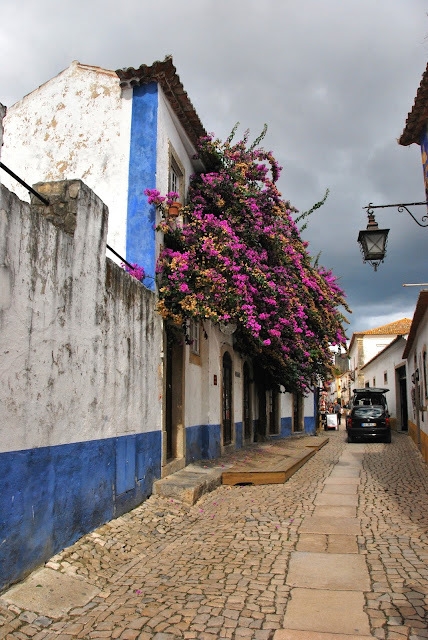 I had seen Pinterest pins about some great alleyways in Óbidos, but I had researched so many different places in Portugal before our trip, I hadn't remembered the name of the city. Imagine my delight when we visited one of the places I'd wanted to see! Panoramic view of Óbidos, from the city wall. 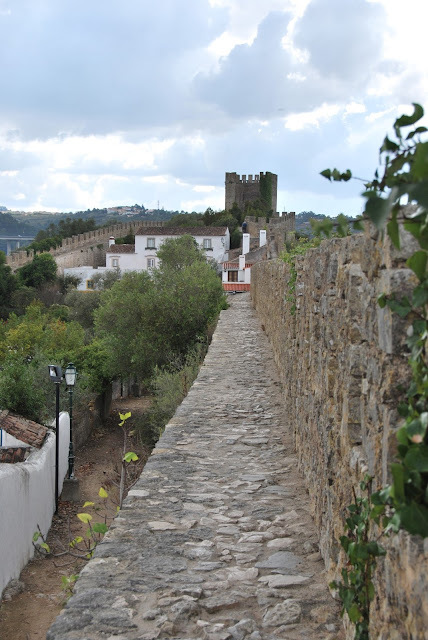 Óbidos is an old settlement from Roman times - the walls surrounding the city date back to the 14th century, after the city was taken from the Moors in 1148. It's incredible to wander through the city and just think about just how long it's stood there! 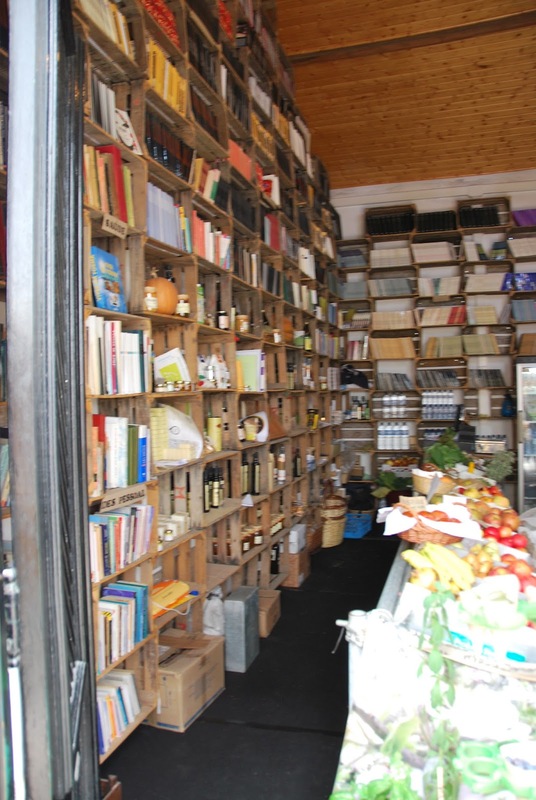 The main strip of the town now has lots of restaurants, book shops and tourist shops. 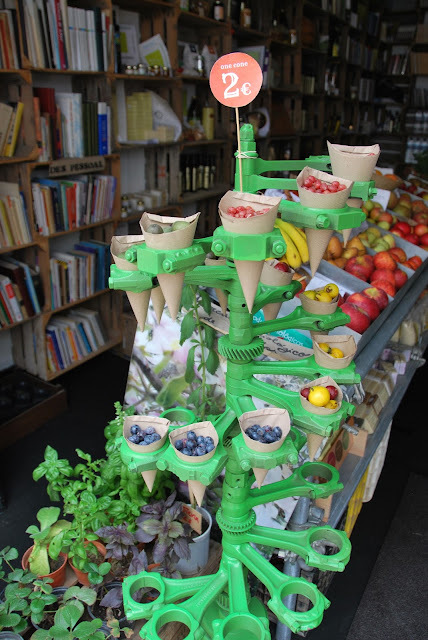 Check out a guide of some of the things to see here. 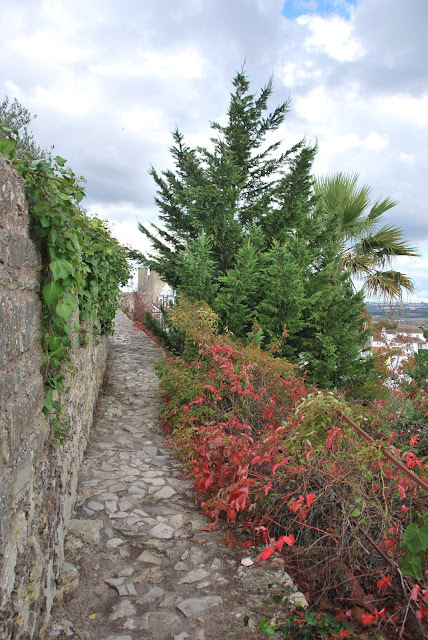 We had a really delicious lunch in a small restaurant in town, then walked around and found stairs that led up to the walkway on the city walls. We walked from one end of town to a tower at the other end, and the views the entire way were amazing. Be careful, though! There are no safety rails along the wall, and parts of it are a bit narrow. Walking along the city wall towards the tower. Looking back along the city wall. 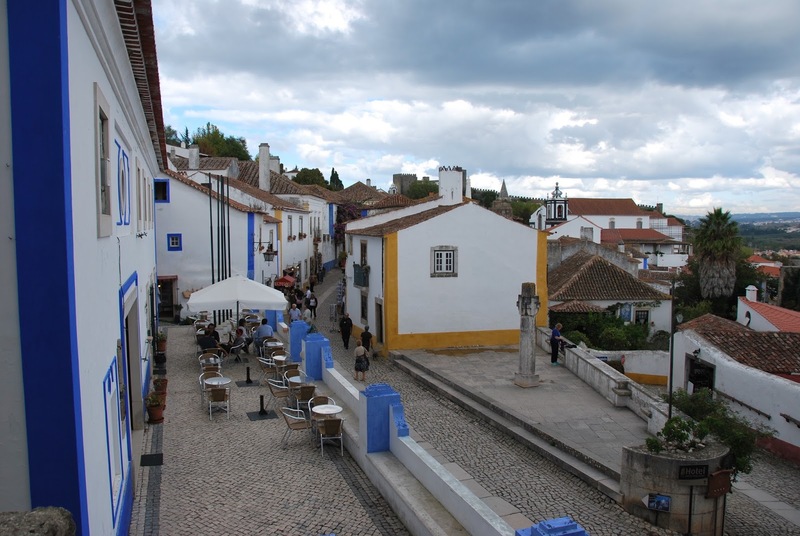 When you drive directly, Óbidos is about an hour drive from Lisbon, heading north. There are also buses that run from Lisbon that cost about €14.40 for a round trip ticket. It's absolutely worth a trip!